We have all heard that probiotics may be beneficial to your digestive health, but what you may not know is that probiotics can also be beneficial to your baby. Your baby needs beneficial bacteria to develop a healthy immune system. Taking probiotics while breastfeeding has the potential to improve the health of your baby and prevent some childhood diseases. Probiotics are types of bacteria that are similar to those normally present in our intestines (normal flora). Many types of bacteria are harmful to your health and cause infections. However, normal flora are beneficial bacteria that help your body produce some vitamins, digest food, and eliminate other bacteria that can cause disease. Imbalances in the ratio of good bacteria to harmful bacteria in your intestines may lead to some health problems or diseases. Supplementing with probiotics can help restore the proper balance to your digestive system. The use of probiotics is especially important if you have recently taken antibiotics because these medications eliminate bacteria, including your normal flora. This causes an imbalance in the bacteria in your intestines and can lead to infections. 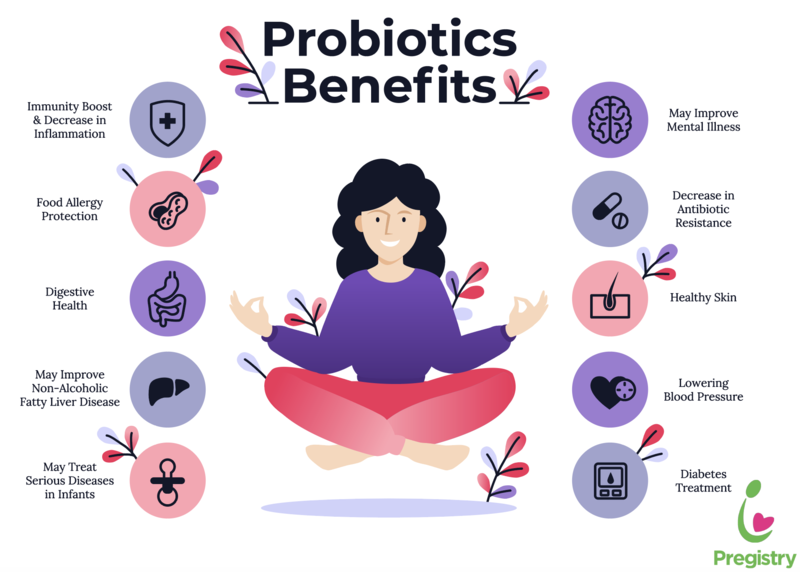 While probiotics have been shown to be relatively safe, they can rarely cause dangerous infections in people with weakened immune systems, serious illnesses, certain medical conditions, or those who have recently had surgery. They may also be dangerous to babies who have illnesses or health problems. You can read more about probiotics here. Does my baby have normal flora? Your baby is born without any bacteria in his or her intestines. Bacteria will start to populate in your baby’s digestive system after birth. The types of bacteria that reside in your baby’s intestines are dependent on his or her diet, environment, and your own normal flora. Having an imbalance of beneficial bacteria during pregnancy can increase the risk that your baby will have allergic conditions after birth. An imbalance in your baby’s normal flora may contribute to colic and plays a role in diseases that occur in preterm babies, including blood infections and a condition that causes damage to the intestines. How can the use of probiotics during breastfeeding benefit my baby? The benefits of probiotic use in pregnancy and breastfeeding for preventing allergic conditions in babies has been shown in several studies. One study showed that in moms who already had allergic conditions, taking probiotics during pregnancy and breastfeeding lowered the risk that their babies would develop eczema during the first 2 years of life. The World Allergy Organization (WAO) released guidelines in 2015 about the use of probiotics in pregnancy and breastfeeding to prevent allergic conditions in babies. You can read more about the WAO recommendations here. What should I do if I want to take probiotics while breastfeeding? As with all supplements and medications, you should always ask your doctor before using any probiotics during pregnancy or breastfeeding. Probiotic supplements are not regulated by the U.S. Food and Drug Administration (FDA). Therefore, the safety of these products during pregnancy and breastfeeding has not been extensively studied. National Center for Complimentary and Integrative Health. 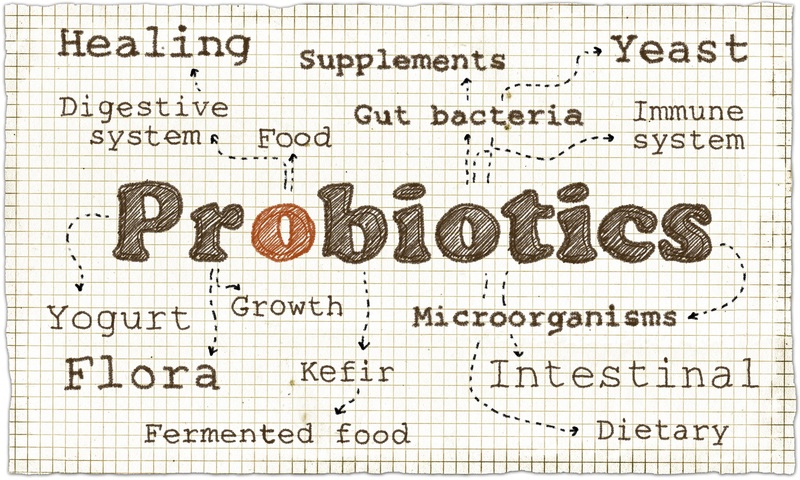 Probiotics: In Depth. Updated October 2016. Accessed April 11, 2018. WebMD. What are probiotics? Accessed April 11, 2018. Soto A, Martín V, Jiménez E, Mader I, Rodríguez JM, Fernández L. Lactobacilli and Bifidobacteria in Human Breast Milk: Influence of Antibiotherapy and Other Host and Clinical Factors. J Pediatr Gastroenterol Nutr. 2014 Jul; 59(1): 78–88. Sohn K, Underwood MA. Prenatal and postnatal administration of prebiotics and probiotics. Semin Fetal Neonatal Med. 2017;22(5):284-289. Stensballe LG, Simonsen J, Jensen SM, Bønnelykke K, Bisgaard H. Use of antibiotics during pregnancy increases the risk of asthma in early childhood. J Pediatr. 2013 Apr;162(4):832-838.e3. Rautava S, Kainonen E, Salminen S, Isolauri E. Maternal probiotic supplementation during pregnancy and breast-feeding reduces the risk of eczema in the infant. J Allergy Clin Immunol. 2012;130(6):1355-1360. Anabrees J, Indrio F, Paes B, AlFaleh K. Probiotics for infantile colic: a systematic review. BMC Pediatr. 2013;13:186. Indrio F, Di Mauro A1, Riezzo G, et al. Prophylactic use of a probiotic in the prevention of colic, regurgitation, and functional constipation: a randomized clinical trial. JAMA Pediatr. 2014;168(3):228-233. Dani C, Coviello C, Corsini I, Arena F, Antonelli A, Rossolini AM. Lactobacillus Sepsis and Probiotic Therapy in Newborns: Two New Cases and Literature Review. AJP Rep. 2016 Mar; 6(1): e25–e29. Elias J, Bozzo P, Einarson A. Are probiotics safe for use during pregnancy and lactation? Can Fam Physician. 2011 Mar; 57(3): 299–301. Dr. Brittani Zurek earned her Doctor of Pharmacy from the University at Buffalo School of Pharmacy and Pharmaceutical Sciences. She currently works as a medical writer, specializing in disease management and medication therapy. Brittani also writes continuing education modules for healthcare professionals. She enjoys hiking and spending time outdoors in her free time. Which Foods Should I Eat For My Baby’s Health While I’m Breastfeeding? Birth Control While Breastfeeding: What Are Your Options?